We're making a list and checking it twice for the things we hope for this holiday season! Join us this month to see what we would say if we were to sit on Santa's lap. 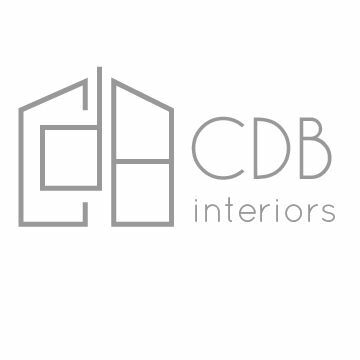 Dining chairs, candles, pillows, and the list goes on, and believe us, we have checked it twice! Hopefully we've made Santa's Good List! 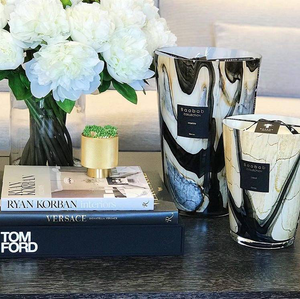 We adore these candles. The quiet flicker of the flame and the soft aroma melting into the space, we are all on board. These particular candles come in the covetable L and XL sizes that make them art in and of themselves. We hope we find these under the tree and their delicious scent wafting through our homes. We are super fans of High Fashion Home, a Houston institution. These velvet and gold banded dining chairs would be the fabulous in any space. We love the darling hue, it's like a lavender ice cream. While at a glance this might seem ultra feminine, but it looks fabulous with navy, natural greens, gold, and white. 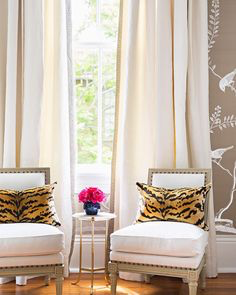 It's no secret we are wild for animal prints! Thee lumbar pillows would make us smile, shoot, they'd look really sassy in Santa's sleigh. The lumbar shape is an easy to add to something simple and elegant like these chairs with the beautiful neutral shades. We wouldn't be afraid to add these to a space with more colors and even more patterns. Books aren't supposed to just gather dust on our bedside. These coffee table books are fabulous decor and on our Christmas list. 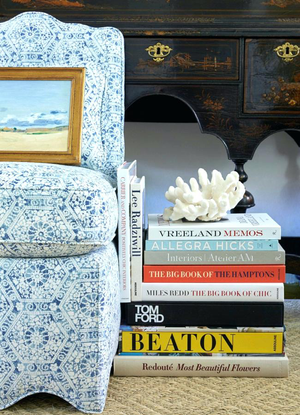 We love stacking them in a side table, or artfully arranged on an actual coffee table. You can't beat these as the giver or receiver this Christmas! 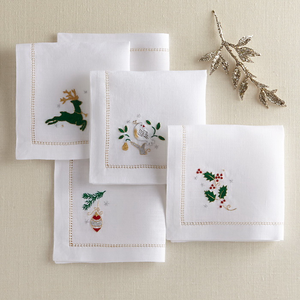 We love these linens. 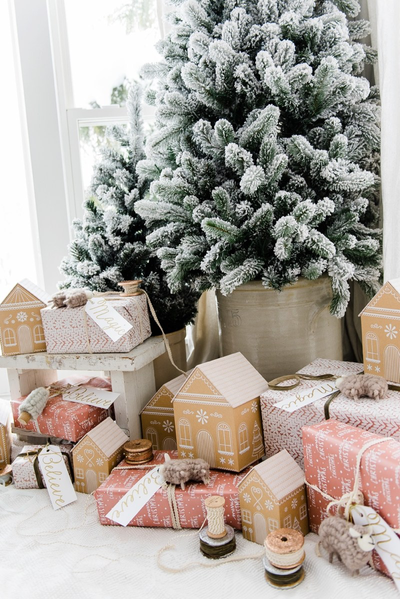 They look beautiful and airy and we just know that unwrapping them would be quite a treat. Such beautiful embroidery and beautiful personal touches. We are all about geodes. Instead of sugar plum dreams, we envision a tree covered in geodes! 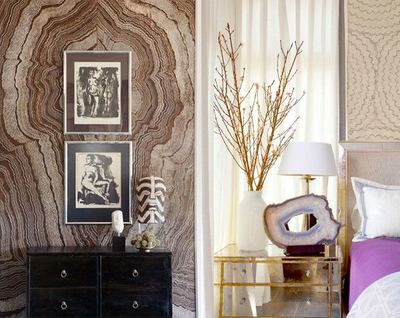 Geodes and agate will rock your space! 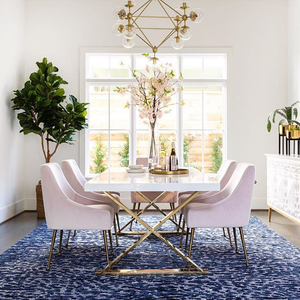 We love these natural minerals and seeing all the ways they get used in our spaces. From coasters to lamps and even agate inspired wallpaper and duvets, the way geodes bring a unique ombre coloring and depth to a space. Geodes are actual mineral deposits after pockets of lava form silica over time. Well, as far as design trends go, geodes time is now! 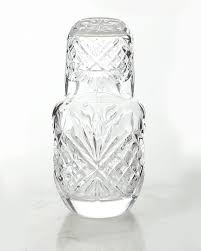 This gorgeous carafe by Neimans would make any bedside sparkle and shine. Fill with your favorite mineral water and sip while reading one of your favorite books. We would love to have this under the tree and then dressing up our hydration habits. Nothing like new, fresh sheets. Maybe you've been the one playing hostess and you need some pampering too. Some crisp bedding is sure to make your own home you escape too, even if your bedroom is the only place not full of family. Or, perhaps you've been on a trip and coming home you need a little vacation after the vacation. We don't want to miss out on some self care this holiday season. We might have a theme here-- our most personal spaces need some love too. 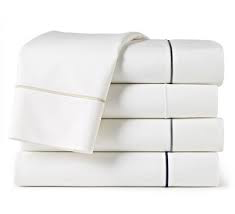 When we make our homes holiday ready, the comforts might need some extra love when the garland and tinsel gets put away, your bedding and bedrooms will be calling your name. The last thing we'd whisper in Santa's ear would be something fluffy, and we don't mean snow. 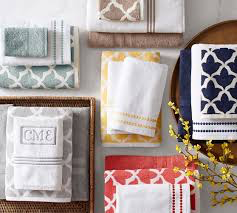 These Pottery Barn personalized towels really show someone you love them or show some of that love to your self.